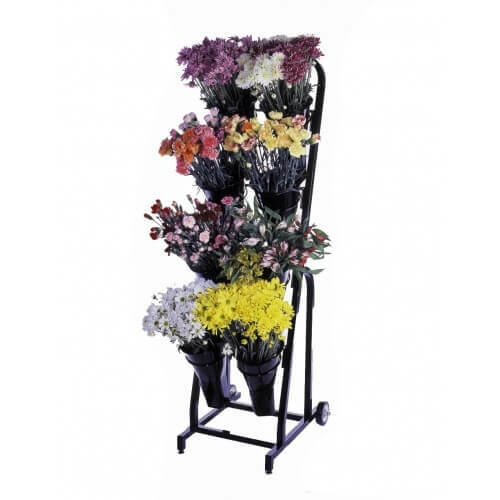 With an 8 floral vase display, you can give your customers more of a variety of beautiful silk or fresh cut flowers, let your customers enjoy the scent of freshly cut flowers. These vases also work well for holding balloons on sticks. 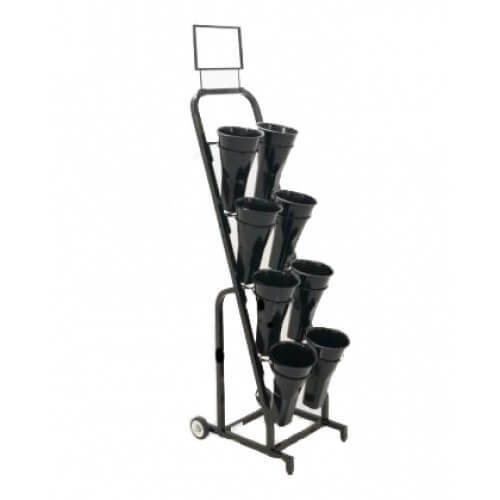 This flower cart is perfect for tight narrow spaces making the most of your floor plan. 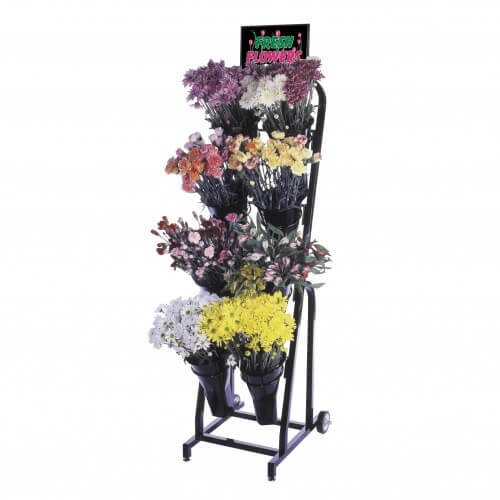 Shop owners can benefit from placing these wholesale floral stands in your store by attracting customers to beautiful, colorful, flowers and that invites them to see what other merchandise you have to offer. Order your flower vases today!